Every time you open up and speak, you thrust yourself in the battle to make good choices with your words. What makes your speech attractive or repulsive are the words you use and how you say them. That’s why first impressions are always so dicey. Furniture has the same effect. Have you ever walked into a room, office, or some other space that set off a warm and inviting feeling? There’s a good chance that the furniture in the room sparked those positive feelings, and you can most likely thank good stylistic choice and artful arrangement for the effect. If you want to allure your guests with the same warmth you felt in that room, consider adding modern leather sofas to your interior decor. You’ll be amazed at how you can alter the atmosphere in a room with the addition of these furniture pieces. In fact, the careful selection of modern leather sofas can turn an otherwise dull room into a vibrant space that draws people in! While it’s true that the mind has great power over the body, the reverse is also true. In a similar way to how music affects your mood, furniture too affects your emotions. It usually happens in very subtle ways, and it sometimes explains a feeling of discomfort that seems to arise for no reason. How? How do you feel when your mind is cluttered with tasks, appointments, chores, and assignments? It most likely feels like a brain overload. The human brain and sensory systems receive an in-flux of stimuli, but they can only process and make sense of a few things at a time. Therefore, clutter creates stress, especially if you are actively trying to process everything all at once. When clutter overwhelms the brain, anxiety increases and the mind riles up into a flight-or-flight-like state, and your concentration, productivity, and creativity all go down the drain. A room that’s filled with furniture in awkward places may not literally drive someone crazy, but it will feel uncomfortable and uninviting. It’s not a good sign when couches and single chairs make walking space as narrow as the gaps between parallel parked cars on a downtown street. Neither is it fun when you have a sofa positioned at an angle that turns walking through a doorway into some sort of obstacle course. Those feelings of claustrophobia give your guests the impression that they’re not welcome in your place of dwelling or business. That’s why it’s important to pay attention to your furniture layout, since it can make the difference between repeat visits or one-time shows. You may think that furniture clutter is inevitable to a certain degree, but that doesn’t have to be the case. In fact, modern leather sofas have the ability to create a layout that’s easy on the eyes and easy to maneuver through. Yes, just the way they look can give the impression of more space and less clutter. But let’s first discuss how they can physically create more space in your home. Shape – Many modern leather sofas are unique and distinct in shape, and this allows you to choose a set piece that fits your room or office. It becomes easy for you to overcome things like room shape and dimensions, because modern sofa shapes can wrap around and fit in with the current elements of your room. Whether it’s L, C, or I shaped, you can be sure that at least one of them will fit the room you want to arrange. Sectionals – Another way these sofas reduce the clutter of a room is due to their ‘sectional’ nature. Unlike the majority of classic furniture styles, you can usually separate or combine portions of modern furniture styles according to the room size and the number of occupants. Vanity is perfectly acceptable when it comes to your choice of furniture, and it’s fair to say that a lot of people don’t display this attitude based on what sits in their rooms. If you’ve ever been in a room that looked dingy and off-putting, there’s a good chance the furniture dragged things downhill. In all fairness, not everyone has the eye of a designer. Some people pick up furniture pieces based on their favourite colours, and even worse, the choice of furniture they see in other places. Here’s what’s wrong with these deciding factors. A favourite colour may create an ugly contrast with the colour of the walls and the colour of a carpet. Many people forget that certain colours just don’t mix well, and the effect they create can be as unpleasant as the sight of mould on toast. There’s nothing wrong if you model your choice after seeing a piece of furniture on a reality show or at the home of another person. But you have to make sure that it fits the presentation of your room – a factor that many furniture buyers seem to forget. So even though you may want that patterned, red-orange sofa you saw on HGTV, it might look disastrous with your purple wall paint. It’s true that personal preference varies when it comes to the way someone views a furniture piece. Yet still, the subjectivity has a limit, and there are some pieces of furniture that can leave you questioning why they were even manufactured in the first place. There’s no need to become the unfortunate owner of such items, as long as you know the traits of good contemporary design. Lines – Modern leather sofas are crafted with sharp lines and crisp angles, and these lines create shapes that are bold and impactful. The result is a blend that makes elements of a room flow with one another. The focus on linear expression gives your furniture a sense of energy, and this is emphasized when complimented with abundant space and the right use of colour. Although subtle, the energy and harmony created by these lines resonate well with the eyes, and they garner appreciation from those in the room. Colour – Modern sofas made with leather usually rely on solid colour schemes that are monochromatic in nature. 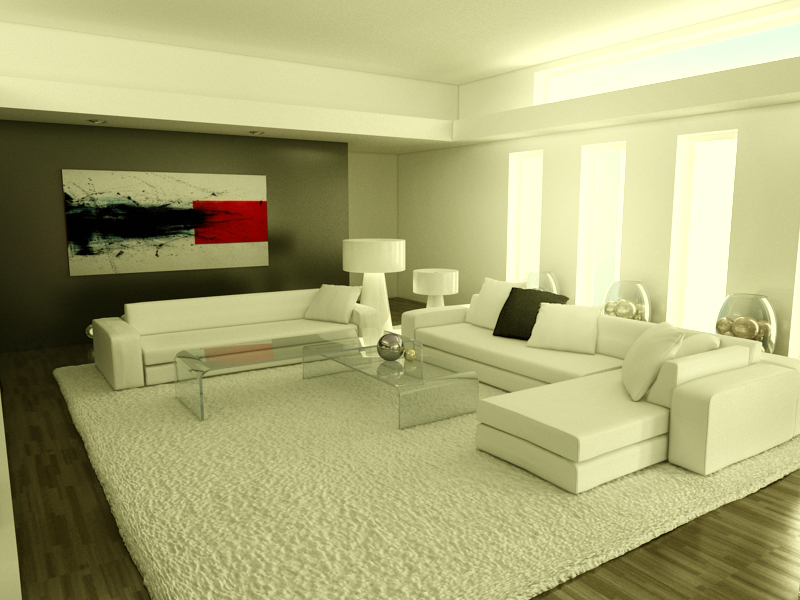 In other words, a single colour dominates the room and the furniture, but there are varying tints, tones, and shades. These colour schemes make it easy for you to choose colour, since it’s a matter of picking one hue without the worry of another causing things to look unbalanced. Also, one colour that varies in terms of intensity has a huge impact on the way a room alters mood and emotions. Human beings are emotional creatures. Just about everything involves a degree of emotion, and that includes logic-dominated pursuits such as law and business. If you can appeal to a person’s emotions or alter their mood, you will be able to wield the power of influence over them with ease. Now that isn’t a call for you to become a manipulator, but it’s a reminder of how you can make your furniture work for you no matter the space or location. Impress First-Time Visitors – Do you want to feel the euphoria of first-time guests praising how great your living room looks? A combination of shapely furniture and solid colour will get you and your guests giddy with pleasure. Show a Date Your Substance with Style – If you’re inviting a date over for the first time, you may feel a bit nervous about what they’ll think of your home. But you can dazzle them with your taste by arranging the right choice of modern furniture in your living room. Hook Your Clients and Customers – Maybe you run a restaurant or a salon, and you want that secret ingredient that adds a kick to your customers’ experience. Modern leather sofas can be that extra ‘something’ that makes the store inexplicably fresh and energetic. So if you’re looking for a way to give your guests a memorable experience, consider the possibilities of modern leather sofas. Like most modernist design, the subtle focus on things such as lines, shapes, and colour allows contemporary furniture to alter mood and emotion in ways that often go undetected. Don’t dismiss the emotional aspect of modern furniture as something that’s just a matter of preference. Look around. Modernism is in style, and has been trendy for a while now. The simplistic yet bold arrangement of modern furniture elements are attractive to human eyes, and therefore, attractive to human minds. So consider using modernist leather sofas for your living room or business space to spice things up, and you’ll certainly leave a lasting impression on your guests! To browse through a selection of elegant modern leather sofas, click here.